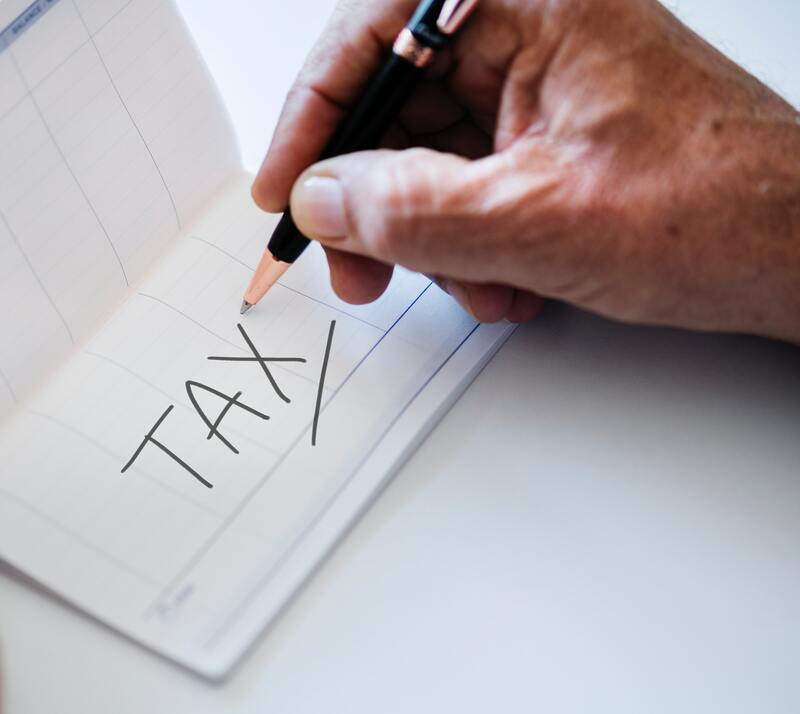 Even if your income has not changed in 2018, changes to the US tax code passed last December in the Tax Cuts and Jobs Act could mean your tax situation has. Don’t assume what worked last year will still work this year: more than just the tax brackets were updated. We’ll highlight some of the big tax changes and explain how to check your allowances and withholding on your form W-4 in this post. As always, consult your tax preparer about your personal situation. Standard vs. itemized deductions. The standard deduction is a set dollar amount subtracted from your income, based on your filing status (i.e. single, married, etc.). It reduces the amount of income that gets taxed. The amounts have been substantially increased from 2017. Instead of subtracting the standard deduction, you may opt to itemize your deductions. Itemized deductions include state and local taxes paid (including property taxes), charitable donations and contributions, and certain medical expenses. Your goal is to figure out which deduction is bigger and to use that one against your taxable income. Money says “the number of U.S. taxpayers likely to itemize would fall from 46.5 million — roughly one third of the total — to 19.3 million in 2018” because their itemized deductions add up to less than the standard deduction. Personal exemption. In past years, taxpayers were able to claim personal exemptions: a set dollar amount deducted from taxable income. You could claim an exemption for yourself, your spouse and any dependent children in your household. The value of the exemption was based on your filing status. For example, if they filed jointly, a married couple with two children could claim four exemptions at $4,050.00 each for a total of $16,200.00. The new tax law eliminated personal exemptions. However, that same couple is able to use the standard deduction of $24,000.00, which works in their favor. Families with several children, however, might not fare as well, so it’s worth checking the math. Mortgage and home equity loan/line of credit interest. You may still deduct the interest paid on mortgage debt up to $750,000.00 (previously the limit was $1,000,000.00). This change only applies to mortgages that began after December 15, 2017. Older mortgages are “grandfathered in” under the new law. In many cases, you may no longer deduct interest paid on a home equity loan or line of credit (the exception is if your loan is for buying, building or improving the home on which you secured the loan). State and local tax (SALT) deductions. Previously, you could deduct all of your state and local taxes, including property taxes. The new law caps the deduction at $10,000.00. This is likely to affect those with high property values, those living in areas with high property taxes, or those in states with high personal income tax rates. Student loan interest. You may still deduct up to $2,500.00 in student loan interest paid. Some income limits apply. Child tax credit. The new law doubles this credit from $1,000.00 to $2,000.00 per child. “The list of qualifying children includes biological and adopted children, stepchildren, foster children living in your care, siblings, stepsiblings, or a child of any of these individuals,” says The Balance. Most importantly, the child must not have turned 17 by end of the tax year. Married couples must have income under $400,000.00 (and all other filers under $200,000.00) in order to claim the credit. New this year is a $500.00 credit for “a child 17 or older, an ailing elderly parent or an adult child with a disability,” notes letsmakeaplan.org. Also changed are deductions and exemptions for moving expenses, parking and transit subsidies, medical expenses, charitable contributions and more. A provision was also added to permanently adjust the Alternative Minimum Tax for inflation. Read more about these and other changes here. Note that many of the changes expire after 2025. As you can see, even with the same income, the tax law changes could affect your taxes. One way to reduce the risk of a big tax surprise is to review your current form W-4, also called the Employee’s Withholding Allowance Certificate. Allowances you claim on this form tell your employer how much tax to withhold from each paycheck. The withholdings pay the majority of your annual tax bill. You can estimate the amount of taxes you’ll owe, then use that figure to determine how much to have withheld. The idea is to set aside a small amount of each paycheck toward your taxes rather than paying one large bill all at once. Allowances are sometimes confused with personal exemptions. Allowances are claimed on your W-4 form when you start a new job, and you can change them if you have certain life changes (i.e. marriage, divorce, birth of a child, etc.). Personal exemptions, abolished by the new law, were claimed on your 1040 form. More allowances means less of your pay is taxed at the time your paycheck is issued, which means less of your pay goes toward your bill each pay period. Your paycheck will be larger. Claim too many allowances and you might not have enough taken out and you’ll owe at tax time. Fewer allowances means more of your pay is taxed at the time your paycheck is issued, which means more goes toward your tax bill each pay period. Your paycheck will be smaller. Claim too few allowances and you might have too much taken out and you’ll likely get a refund. The good news is that if you’re not having enough withheld to cover your taxes, you can change it easily by completing another W-4 right now. The sooner you update your W-4 the more pay periods you have to correct the problem. Of course, there is no guarantee you won’t owe taxes, and it’s always best to check with your tax preparer. Your most recent pay stub shows how much is withheld each pay period and how much you’ve paid in so far this year. Are there enough pay periods remaining in the year to make up the difference between what you’ve paid and your estimated tax bill? If time is running short, decide if you want to change your W-4 to reduce your allowances or to withhold additional money from each check. Of course, you can also choose to save up for the bill on your own. The Internal Revenue Service has a free calculator online, which you can use to estimate your 2018 tax liability and check it against your current tax withholding on your paycheck. All you need to start is your most recent pay stub and a copy of your 2017 taxes. You can also do the math yourself with IRS’s updated tables for 2018.